The Bee & Butterfly Habitat Fund came into existence thanks to the joint collaborative efforts of Project Apis m. and Browning's Honey Co., Inc. They approached McD about creating an entire new initiative that would help raise funds, build and maintain a proven, sustainable habitat program. This program would provide critical habitats for pollinators and maintain vital food production throughout the United States. For every $100 raised one acre of habitat could be funded for a year. This included the cost of the biologists and seed mixtures as well. Some of the most powerful movements start from an idea. 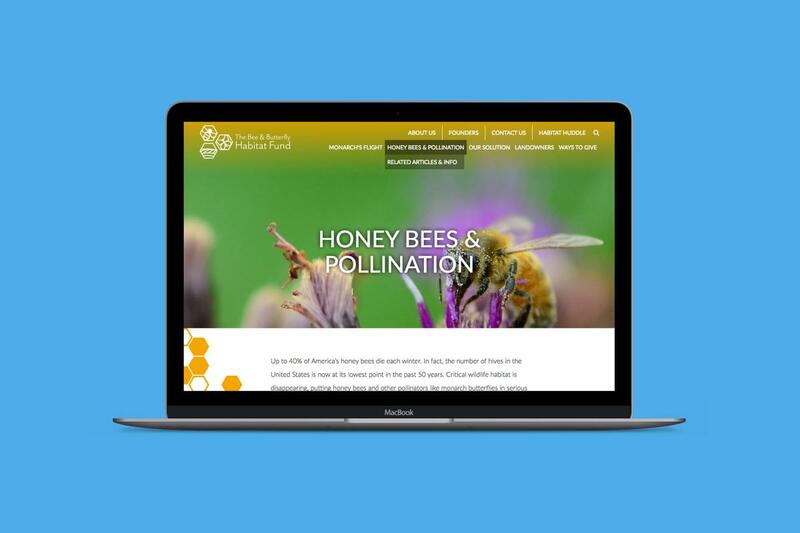 While Project Apis m. and Browning's Honey Co., Inc. were heavily involved in the bee and habitat industries, this was a brand new inititiative. Before McD could get started, the organization first needed a name then everything else that goes into building a brand organization. McD concepted numerous name and logo designs to help launch this mission. 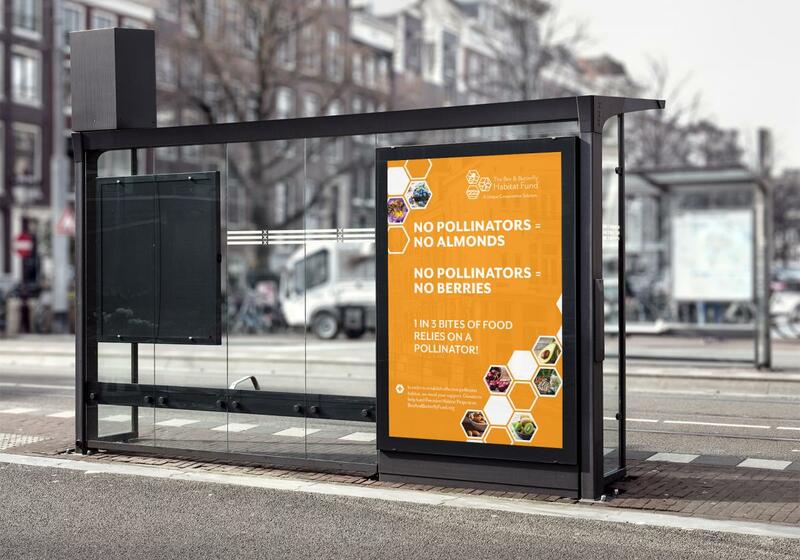 The Bee & Butterfly Habitat Fund became the frontrunner and marketing pieces started to fall into place from there. This included a new logo, print campaign, website, social media campaigns, and trade show display. Fundraising targets included large and mid-sized agriculture companies, large corporations (outside of ag) who have established a commitment to sustainability, foundations with a vision and mission to fund wildlife habitat and projects that positively affect the food supply and celebrities who share the beliefs. Individuals who care about the food they eat and how it is produced and want to make a difference were also included in our target audience, including hunters, backyard beekeepers, sideline beekeepers, and corporate beekeepers located primarily in the bee and butterfly range so they can identify with the habitat and can view the pollinators. We also reached out to universities, state schools and other academic institutions with impactful biology, agriculture, environment, pollinator and conservation studies. Nearly $3.6 million in single- and multi-year commitments have been made. To date, 20 corporate sponsors have made single- and multi-year commitments totaling nearly $3.6 million. The Bee & Butterfly Habitat Fund also raised nearly $24,000 in the first five months of 2017. McD also employed a dedicated Fundraising Coordinator who greeted and helped motivate donors at key beekeeping, hunting and agriculture events throughout the country.